Nearly 700 open-air booths on 40 acres await you at the Midwest's Largest Flea Market in Shipshewana, Indiana. 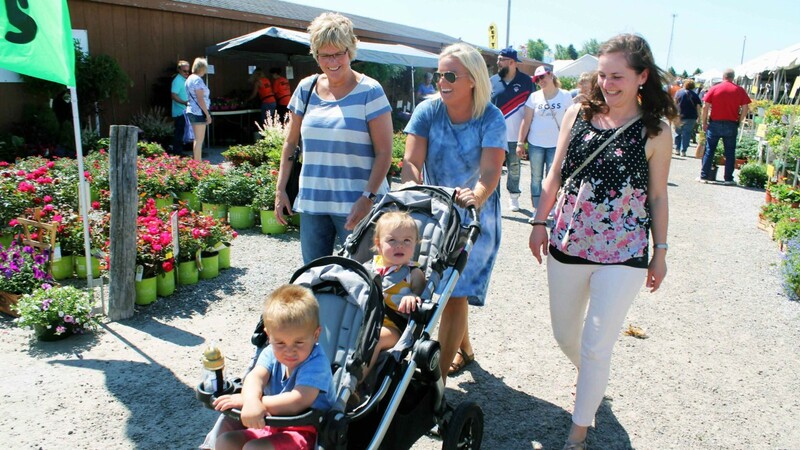 The Shipshewana Flea Market is open every Tuesday and Wednesday from May through September from 8 a.m. to 4 p.m. Special holiday openings include Memorial Day, 4th of July and Labor Day, as well as two new weekend markets on June 14-15 and August 16-17. The Shipshewana Flea Market is also open for holidays and special weekend events! See below. Interested in selling your stuff at the Midwest's Largest Flea Market? We accept all types of vendors and merchandise! Walk-ins are welcome, or you can reserve a space in advance by sending us a flea market vendor application and payment. Regular Outdoor Spaces (20' x 25') are $55 for the week. See all rates & space options. Questions? Contact the office at 260-768-4129. Sell at the Midwest's Largest Flea Market! Now taking applications for daily, weekly or monthly vendors. Low space rental, flexible schedule, and friendly staff! We accept vendors with all types of merchandise.